Awrad of the Tariqa Burhaniyya-Dasuqiyyah-Shadhuliyya. 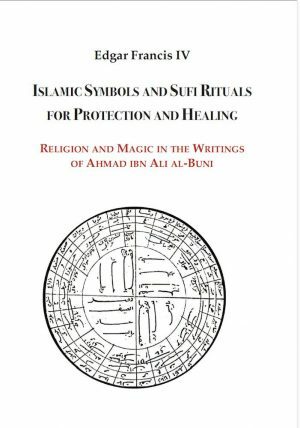 Contained within this Awrad are the means to travel the Oceans of Unity and reach illumination. What is in this Awrad? 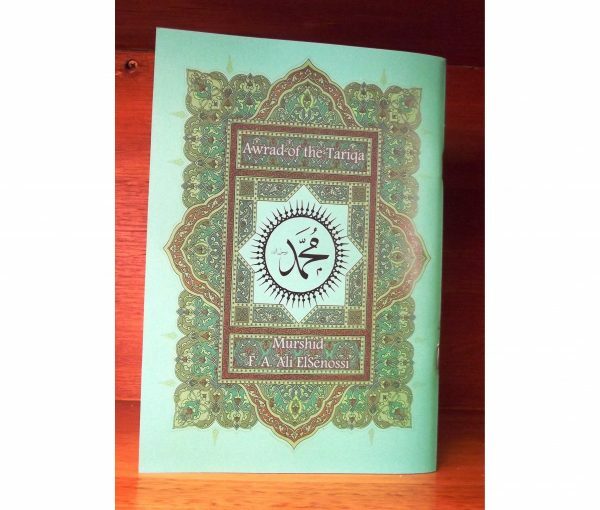 The Holy Qur’an, Allah, His Names, His Attributes and His Actions; and an abundance of salutations upon the Beloved of Allah, Muhammad Ahmad al Mustapha, the final Prophet and Messenger of Allah to all creations. 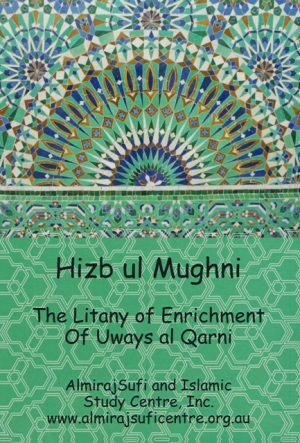 Author: Shaykh Muhammad Uthman Abd al Burhany Presented by: Murshid F. A. Ali ElSenossi Publisher: Almiraj Sufi and Islamic Study Centre Year: 2015 Pages: 104 Binding: Soft Cover Booklet Book Condition: New Dimensions:: ‘A5’ 148 x 210 mm Weight: 300 gr. Description from the publisher: All praise belongs to Allah, the One through whom success can be attained and endless salutations upon the seal of Prophethood and Messagehood and never-ending gratitude to the Beloved Allah for the grace and baraka to make available to all the spiritual children of our Shaykh and Imam Muhammad ‘Uthmaan ‘Abd al Burhany (may Allah sanctify his secret), the complete arabic version – Awrad of the Tariqa Burhaniyya-Dasuqiyyah-Shadhuliyya. Contained within this Awrad are the means to travel the Oceans of Unity and reach illumination. What is in this Awrad? The Holy Qur’an, Allah, His Names, His Attributes and His Actions; and an abundance of salutations upon the Beloved of Allah, Muhammad Ahmad al Mustapha, the final Prophet and Messenger of Allah to all creations. He is the one who said “The best that I and all the Prophets before me have brought is “La ilaha il Allah”, There is no gods, only Allah. A Glimpse of Islam and it..